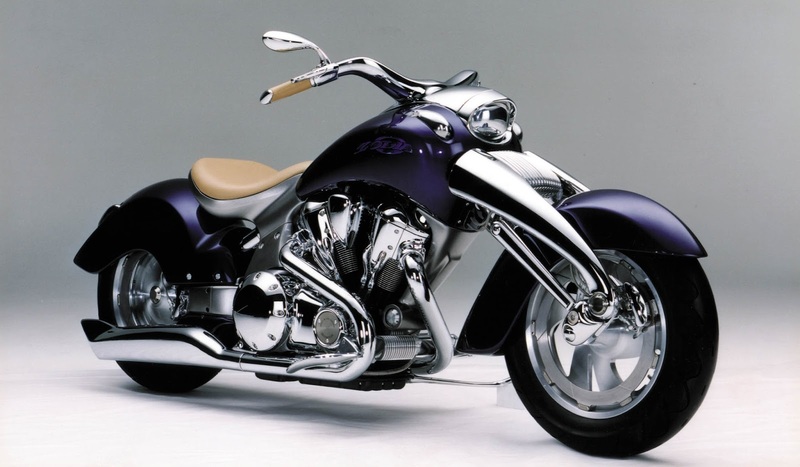 From the first, Honda as one of the famous Japanese motorcycle manufacturers made a lot of motorcycle design concept. 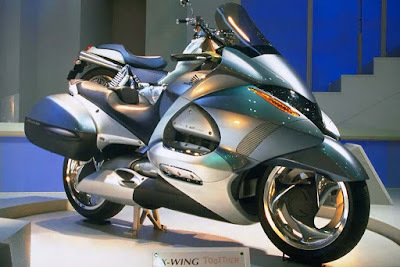 Among the many results of the work on the motorcycle manufacturer's designers in the following top three Honda's best futuristic concept motorcycle designs. If Yamaha had Morpho and GTS1000, as Bimota has Tesi 3D, which uses a unique suspension. Then Honda also have and given the name 'Honda Xaxis,' this eccentric motorcycle is a motorcycle concept which uses a single fork as the front suspension. Not only the front suspension sector was the main focus of Honda Xaxis, but also evenly throughout the entire sections. This can be seen with the use of Elf-Designed Single-Sided on the rear swingarm. Uniquely this concept motorcycle using a machine VTR1000SP in Chrome accents and super wide discs as the devices to stop the speed. Displayed with the design of the tank and the stern which later inspired several Honda's flagship superbikes, like the first edition of the CBR600RR and CBR1000RR. Honda Zodia is a cruiser concept motorcycle equipped with large capacity engine. The motorcycle concept has fierce and unique look and was first introduced on the Tokyo Motor Show 1995 is indeed had a quite remarkable value. Unfortunately, Honda Zodia just end up as a mere of motorcycle concept. But this Honda Zodia concept seems to be the inspiration for Honda Valkriye Rune. Although carrying a much different of machines (V-Twin vs Flat-Six). However it looks, equally has the fierce looks. Some time ago, Honda introduced the most futuristic motorcycle figure named Honda NM4 Vultus. The possibility of a motorcycle is made based on the design of Honda X-Wing. 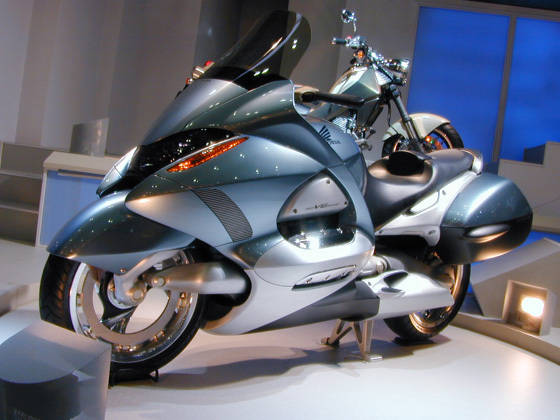 The motorcycle concept was first introduced to the public at the Tokyo Motor Show 1999. Talking about the futuristic shape, of course Honda X-Wing can not be underestimated. The motorcycle concept is equipped with advanced features such as GPS-based Navigation System, Instrument Panel Display connects to the Internet that provide information related to changes in temperature, road conditions, mileage.